Gain Fabric Softener Sheets Just $0.03 Per Load at Dollar General! If you need to stock up on fabric softener sheets, then head over to Dollar General through 5/20, where Gain Fabric Softener Sheets are on sale for $2.95! 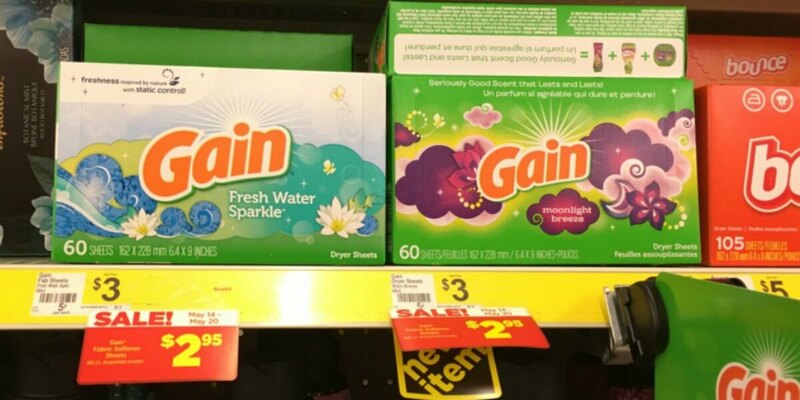 We have this $3/3 Gain Detergents or Fabric Enhancers printable coupon or this $3/3 Gain Detergent, Gain Liquid Fabric Enhancer or Gain Dryer Sheets coupon from the 5/7 Red Plum insert that we can use with this sale, making these just $1.95 after coupon or just $0.03 per load! Kandoo Wipes 50ct Tub as Low as $0.24 at ShopRite!